Loved it!!! I was introduced to this book at work and honestly it's amazing. When you think of a leader, at least I do, I think of someone in management. I love the fresh perspective of this book. ...seems to be the only take out from this extremely repetitive book. Quite what this means or how you'd go about leading an organisation from the bottom isn't clear. To be fair I only got half way through, but after three hours of repetitive hyperbole about how life changing the book would be – not to mention the totally implausible characters and cringeworthy dialogue of the parable format – I could take no more. I've seen the author speak and know he has some valuable advice to give, but this book just did not work for me. This book is amazing. 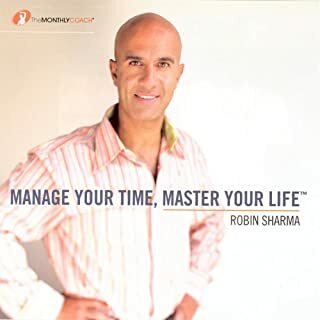 Robin Sharma really goes deep into the ways in which one can really lead their field and ultimately live a more meaningful life. I've heard other books of his, so I did find some of the things quite repetitive, but having said that this explains his Leadership morals in depth and in much more detail than any other books he has written. 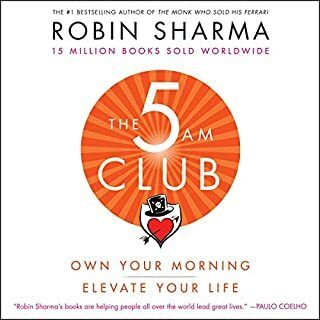 If you're into personal development and are looking for motivational and inspirational reads then this is a must. This book will definitely help you in many ways, it certainly had helped me and changed my view on alot of things. Insightful and awareness awaking, great tools inside. But also far too (north)American dream focused, not questioning at all the ethics of the military nor those of big companies in big cities. Perfect listen for my 6 hour car journey. I took away some real golden nuggets from this book and am very much looking forward to puting into practice what I have learnt. I enjoyed understanding and learning the leadership without title.. it give me hope .. dream.. vision and inspiration to leave a real happy life and help other do as well. 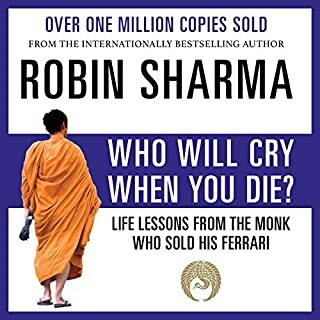 A must read for anyone looking to have a better attitude in life to reach their highest spiritual potential. i would gladly re-listen to this. You don’t need a title to lead and that is so true. This book re-enforces our need to stay true to who we are. 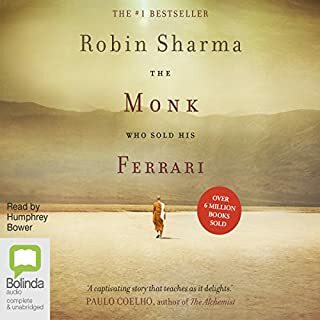 This is now one of my favourite books and for sure is the best audiobook I have ever listened so far! One of the most empowering and inspirational book! Wow! Loved this book. Also ordered the hard copy. This is one of the most empowering and inspirational book I have had the privilege to come across in a long time. Thumbs up!! highly recommended. really a eye opener book. would love to implement all the ideas in my own life. This has to be one of my all time favourites. Thanks for inspiring me to be better. 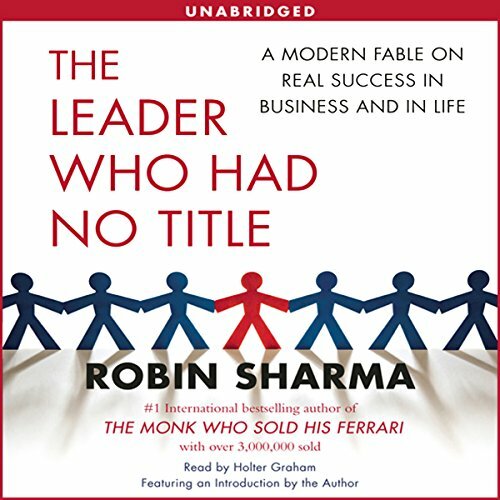 This book opened my eyes to the many possibilities and also benefits of "Leading without a Title"
Life changing info. Must listen. Put this into practice and your life will become amazing. 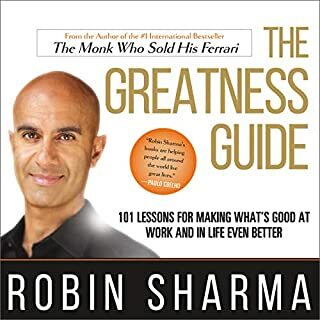 This book was very easy to listen to and motivated me to take action. I just need to work the start out. My first step is to listen again. 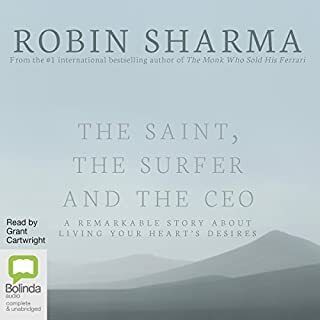 Robin Sharma's technique of providing a fictional narrative to a series of great ideas really interests me. Great ideas and stays interesting throughout. Hopefully I take these ideas with me in my everyday life!